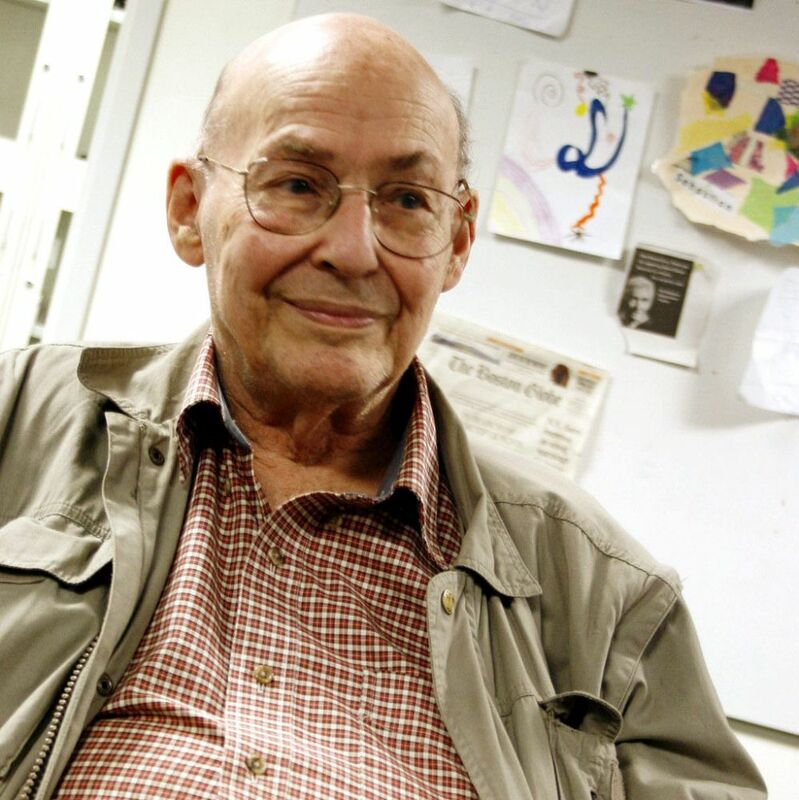 The pioneer of artificial intelligence left us at 88 years old; Google’s ‘AI’ breakthrough; Robotic customer service; the army showcases examples of driverless trucks; world fastest Rubik cube solving, and more. In an important breakthrough for artificial intelligence research, a system based on reinforcement learning created by Google’s DeepMind division has defeated the European Go champion 5-0 in a series of challenge games –the first time AI software has defeated a top-level human Go player. Go is thought to date back to ancient China, several thousand years ago. Using black-and-white stones on a grid, players gain the upper hand by surrounding their opponents pieces with their own. The rules are simpler than those of chess, but a player typically has a choice of 200 moves compared with about 20 in chess. There are more possible positions in Go than atoms in the universe, according to DeepMind’s team. The first game mastered by a computer was noughts and crosses (also known as tic-tac-toe) in 1952. Then fell checkers in 1994. In 1997 Deep Blue famously beat Garry Kasparov at chess. It’s not limited to board games either—IBM’s Watson [PDF] bested two champions at Jeopardy in 2011, and in 2014 our own algorithms learned to play dozens of Atari games just from the raw pixel inputs. But to date, Go has thwarted AI researchers; computers still only play Go as well as amateurs. The researcher’s paper was published in Nature this week. 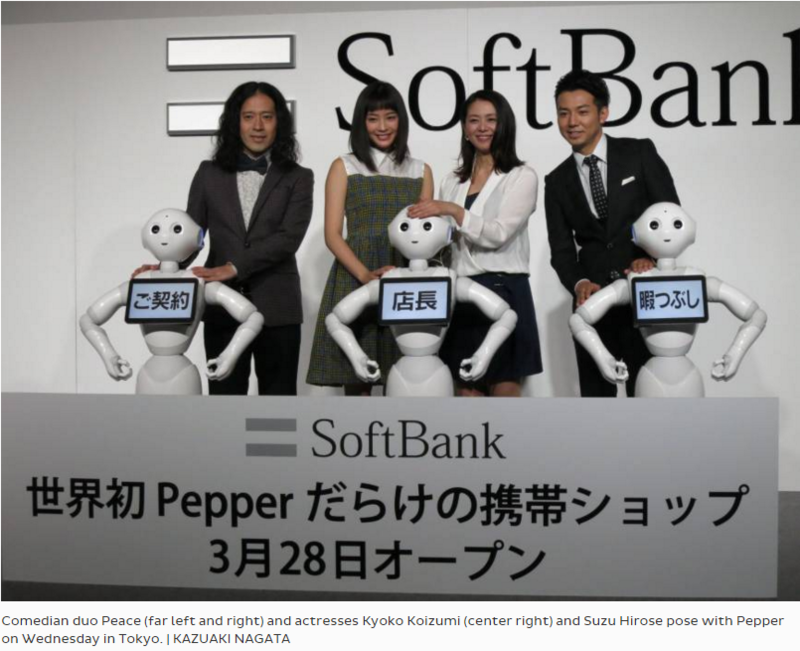 SoftBank Corp.’s Pepper robot –a humanoid robot designed to provide customer service– is gaining lots of good press and steadily increasing its customer base. Customers will be able to ask the robots for explanations of the various cellphone options, and for those that decide to buy, the robot will attempt to complete the sales process. However, SoftBank says it is difficult for the robots to check people’s IDs when signing a contract, so humans will be on hand to intervene. The Pepper business will not turn a profit this year or next. Fame is one thing, but commercial success, [Tomizawa] said, will take time. SoftBank estimates that more than 500 firms are now using Pepper, which is pretty impressive for a robot that launched just last year. Nissan Motor Corp. uses Pepper to provide customer service in 100 outlets. SoftBank has partnered with as many as 200 firms with plans to develop business applications for Pepper that leverage Internet connectivity and cloud-based artificial intelligence. 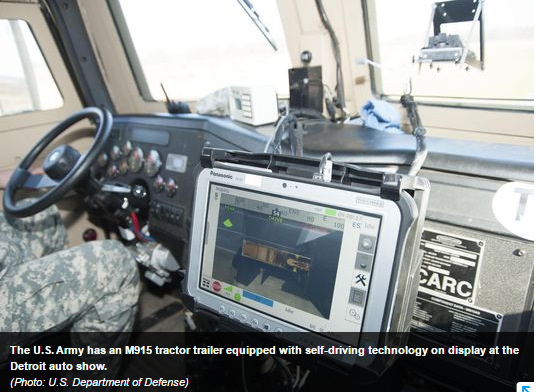 Paul D. Rogers, director of the TARDEC program, noted that many attacks on soldiers occur along resupply routes, and autonomous capability would require fewer soldiers to be in the vehicle, lessening exposure. “That not only lessens the risk for the soldier, but we can move the same amount of material, equipment and supplies with fewer soldiers, so we become much more efficient,” Rogers said. Manpower is a major expense in the military, including drivers who always travel with a backup, “safety” driver who is present in case the main driver gets injured or fatigued.